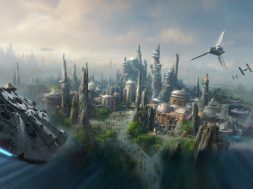 Everyone points to the new films, television shows, and, of course, theme park lands as to what Disney has been doing with the Star Wars property since it purchased it from creator George Lucas in October 2012. 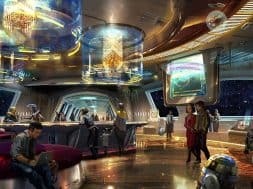 It turns out, however, that arguably the biggest impact the Mouse House has made on the franchise has to do with that little thing called merchandise – and that, in turn, has paved the way for the company to make Disney Springs the Star Wars capital at its Walt Disney World Resort. Let’s back up a moment first. Although always a major marketing force since 1977 – Lucas was never one to say no to most anything – Disney has actually blown the licensing doors wide open and released a veritable tsunami of products, from women’s underwear to a $400 16-foot inflatable Darth Vader Christmas lawn decoration to, best of all, a $4,000 Millennium Falcon bed immaculately designed by Pottery Barn. 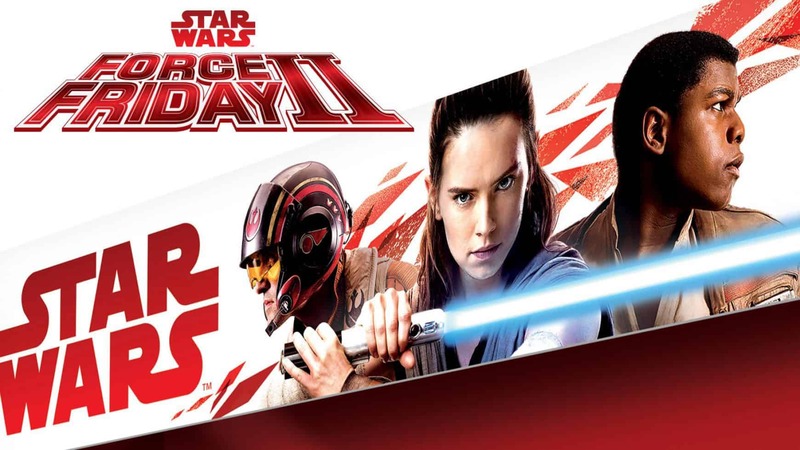 What’s more, the company unleashed a wide swath of these new products – including the first-ever tie-ins to the first of the new movies, Episode VII: The Force Awakens – on one single day: Force Friday, otherwise known as September 4, 2015. Not only is Disney trying for a repeat of that brand-new quasi-holiday, it’s also going to expand it to Disney Springs. Here’s the rundown: Force Friday II will be held on Friday, September 1, and it will once again be celebrated at 12:01 am all across the world, with 20,000 stores opening especially for the occasion. As before (and on Rogue Friday in 2016, leading up to the release of Rogue One: A Star Wars Story), a bunch of new merch will debut that sets up or otherwise celebrates the latest Star Wars installment – in this case, Episode VIII: The Last Jedi. 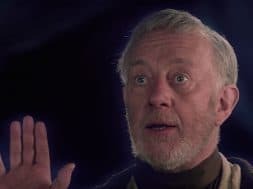 Although the company has tried to keep a lid on what, exactly, will be made available, a leaked checklist has been making the rounds online, including action figures in several different varieties, roleplaying items (such as lightsabers and helmets), and, of course, brand-new books, which help establish the backstory of Last Jedi’s characters and locations (we’re pretty stoked for Phasma, ourselves). How does Disney World, exactly, fit into these proceedings? Beyond offering exclusive Force Friday items – including apparel, pins, toys, retail MagicBands, and Vinylmation figures, according to the company – Disney Springs will be one of the tens of thousands of locations opening just after midnight. If interested in attending, you’ll need to register (for free) outside of the World of Disney Store entrance on Thursday, August 31, starting at 6:00 pm; you’ll receive a wristband, which will mark your place in line when you return that night at 11:30. There are only a limited number of wristbands, so be sure to register as soon as you can that day. Of course, this is just one of several new attempts Disney is making at anchoring Star Wars in Disney Springs specifically: a brand-new store and hyper-reality experience will both be arriving in time for the holidays – and The Last Jedi’s release. Expect to see this presence only increase at the dining/shopping/entertainment complex, which is quickly becoming the Star Wars capital of Walt Disney World ahead of Star Wars: Galaxy’s Edge‘s arrival at Hollywood Studios sometime in 2019. 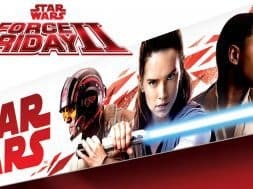 The World of Disney’s Force Friday II event starts promptly at 12:01 am on Friday, September 1 and ends at 4:00 am.